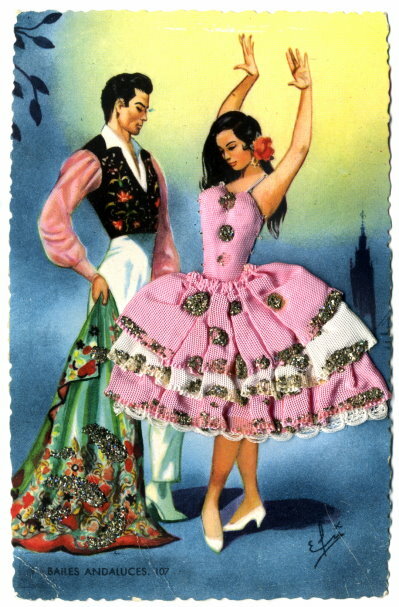 A novelty postcard, not postally used. It shows a colour drawing of Spanish dancers. The woman's dress is made from materials and glitter, the cape is decorated with glitter.